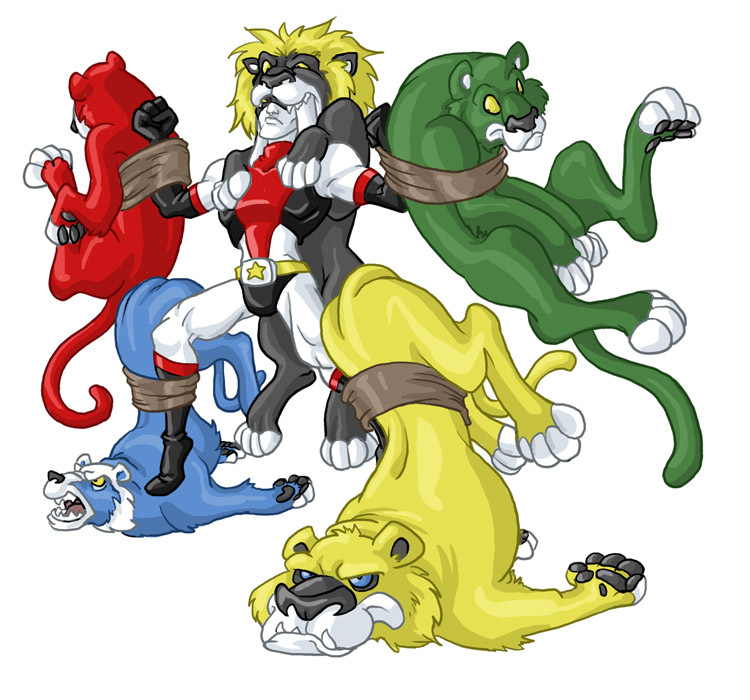 VOLTRON IS MADE OF LIONS! Hahahaha.. Hate to be him when the animal chloroform wears off.. Please do more dude!!!! Hahaha. I love how hilarious this is. I don't know who Voltron is, but nice drawing! Yeah, yeah it is. Mechanical lions, but them's still lions in anyone's book. Nicely done- especially the tying on of said cats. Lmao. He'll save the day!